Easy to access OTG devices through USB OTG File Explorer application. The application will launch on attaching OTG device to your mobile. There are various OTG (On The Go) devices available in the market like OTG Pen-drive, Flash drives, Pen drives, Mic, Keyboard, Digital camera or Keyboard etc. 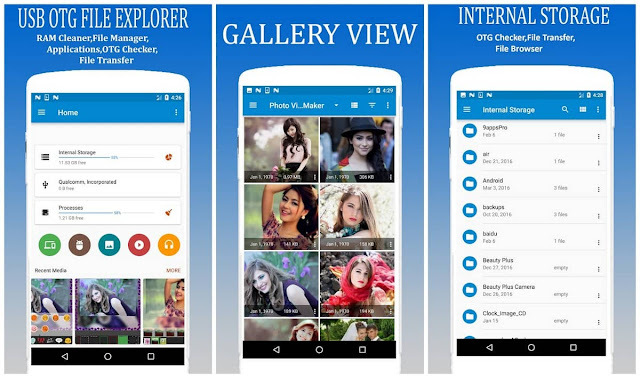 File Explorer for android allows you to open and copy files from any USB mass storage device with a FAT32 or NTFS file system using the USB OTG port of your device, tablet or phone. 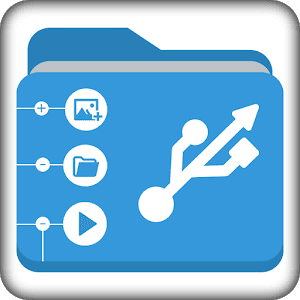 With a FAT32 file system, you can copy files to any USB mass storage device and manage your files on it (edit filenames, add directories, delete files). This application has been designed for Nexus products which have an USB "OnTheGo" port, as the Nexus 5, Nexus 7 and Nexus 10, and the brand new Nexus 6 and Nexus 9. But it could work on any device with an USB OTG port Under Android 4.0 or later, including the last Android 5.0 Lollipop. For now, FAT32 filesystem is supported for data read and write, and NTFS filesystem is only supported for data read. You can use USB sticks or SD card readers with any compatible USB OTG cable.